Visit the largest alien and ufo news website webelieveinaliens. New Planet Found in Our Solar System? 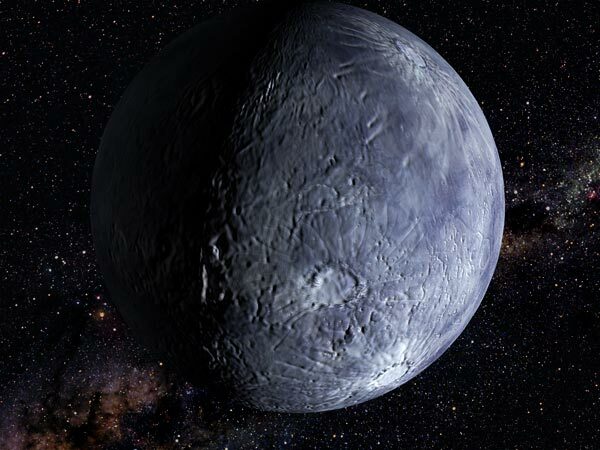 Once considered the ninth planet in our system, the dwarf planet Pluto, for example, is one of the largest Kuiper belt objects, at about 1,400 miles (2,300 kilometers) wide. Dozens of the other objects are hundreds of miles across, and more are being discovered every year. The objects’ unexpected orbits have a few possible explanations, said Gomes, who presented his findings Tuesday at a meeting of the American Astronomical Society in Timberline Lodge, Oregon. “But I think the easiest one is a planetary-mass solar companion”—a planet that orbits very far out from the sun but that’s massive enough to be having gravitational effects on Kuiper belt objects. Mystery Planet a Captured Rogue? For the new work, Gomes analyzed the orbits of 92 Kuiper belt objects, then compared his results to computer models of how the bodies should be distributed, with and without an additional planet. If there’s no distant world, Gomes concludes, the models don’t produce the highly elongated orbits we see for six of the objects. How big exactly the planetary body might be isn’t clear, but there are a lot of possibilities, Gomes added. Based on his calculations, Gomes thinks a Neptune-size world, about four times bigger than Earth, orbiting 140 billion miles (225 billion kilometers) away from the sun—about 1,500 times farther than Earth—would do the trick. But so would a Mars-size object—roughly half Earth’s size—in a highly elongated orbit that would occasionally bring the body sweeping to within 5 billion miles (8 billion kilometers) of the sun. Or the putative planet could have formed closer to our sun, only to be cast outward by gravitational encounters with other planets. However, actually finding such a world would be a challenge. To begin with, the planet might be pretty dim. Also, Gomes’s simulations don’t give astronomers any clue as to where to point their telescopes—”it can be anywhere,” he said. Douglas Hamilton, an astronomer from the University of Maryland, agrees that the new findings are far from definitive. And Hal Levison, an astronomer at the Southwest Research Institute in Boulder, Colorado, says he isn’t sure what to make of Gomes’s finding. “It seems surprising to me that a [solar] companion as small as Neptune could have the effect he sees,” Levison said. Teotihucan were Ancient alien landing pads The word teotihucan means: where man met with the gods. How did they build these pyramids? with primative tools or maybe no tools at all ! For instance Theotihucan three main pyramids were build in precise alignment . Latest UFO sightings - Some kind of triangle formation was recorded in the night sky above place de la Victoire in Bordeaux, France on Sunday, 6th May 2012 at 11:39 pm. Witness report: Hello. US,Elyansun & Valérie.L, want to report what .